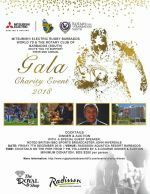 Join Rugby Barbados World 7s for their 2nd annual ‎Gala Charity Dinner to raise funds for the Barbados chapter of the global Get Into Rugby Programme, Try Rugby Barbados, a registered not-for-profit company. Donors and other invitees will enjoy a pre-dinner cocktail reception at 7:00pm on the Radisson Victorian Pier and move to the Crest & Tides Ballrooms at 8:00pm for a delicious three-course meal, inclusive of wine and other alcoholic beverages. A pay bar will be available for diners after the meal has been completed. There will be a motivational speech by Noted British BBC Sports Broadcaster John Inverdale. 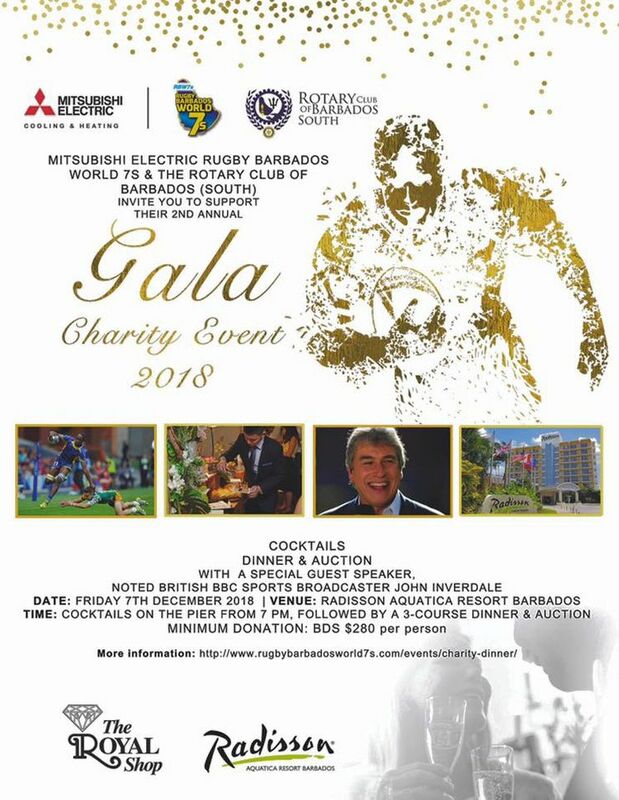 There will also be a variety of Rugby memorabilia on Auction, as well as some classic jewelry and a Swiss timepiece courtesy of The Royal Shop Barbados -Luxury Jewelry & Watches. A minimum donation of Bds $280 per person requested. Proceeds will go to at risk youth in sport. An exclusive 10% discount applies to full table bookings of 10 persons.